Tuition at UMass Amherst for in-state students will increase to $15,406 for the 2018-2019 academic year. 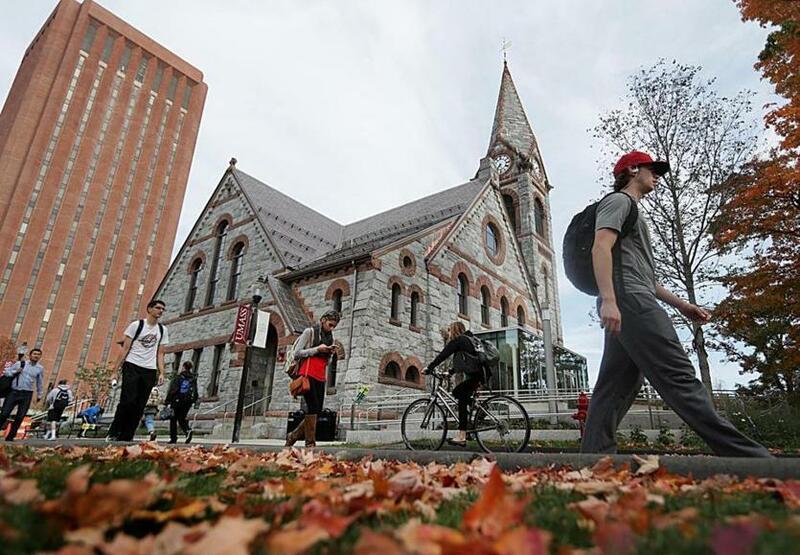 Trustees of the University of Massachusetts voted Friday to increase tuition for in-state undergraduates by 2.5 percent for the academic year that starts in the fall, officials said. In dollar amounts, the increase will vary depending on which of the four campuses a student attends. At the flagship campus in Amherst, tuition will increase by $376 per student to $15,406 for the 2018-2019 school year. At UMass Dartmouth, the cheapest campus, students will pay $329 more, or a total of $13,496 for the school year, according to UMass. This year’s increase is slightly less than the 3 percent increase for in-state students approved last year, officials said. Tuition for out-of-state undergraduates is also going up. It will increase by 3 percent to $32,200 on average, or an average increase of $938 per out-of-state student, UMass said. Trustees last month approved a 3 percent increase in tuition and fees for students enrolled at its medical school in Worcester. The UMass system also plans to increase the cost of fees and room and board at its campuses. That will put the cost of attendance for in-state students at the flagship Amherst campus at $28,513 this fall, up from $27,669 last year. UMass officials said that the system has kept this fall’s tuition rate increase in-line with neighboring states, including the University of Rhode Island and the University of Maine.